Long time readers of my blog know that I am a fan of science fiction and have complained about the dearth of science fiction on middle grade shelves (and not just because I wrote one). Over the next week, I’ll be spotlighting several MG SF authors and their books (both traditionally published and self-published), because I would love for there to be more of these books available for young readers! If you’re here as part of the blog tour, here’s your puzzle piece ( #7 of 31, how fun!). lumps me together with Bruce as a huge compliment. and by science fiction for slightly older readers. middle grade books and will “read up” to YA or adult books. a gap on the bookshelf where literary MG-SF should be. where midgrade-themed MG-SF should be. about a glut of MG-SF and a gap that exists somewhere else. Thank you, Greg, for stating so eloquently some of the resistance there is to MG SF. And I especially love the point about successful MG SF stories having to prove those presumptions wrong! 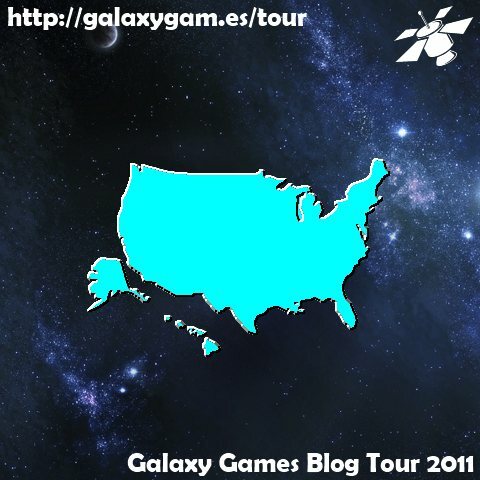 Best of luck with GALAXY GAMES and your future books, and thank you for guest posting! 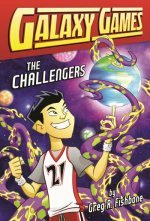 You can buy GALAXY GAMES at Amazon, Tu Imprint’s website, iTunes, or Google’s ebookstore, or visit the GALAXY GAMES website. Bryan- Jacob Wonderbar crossed my mind too. I think the breakdown starts earlier than MG. Kids need to be hooked into the love of reading in Kindergarten / 1st grade. Chapter books and early readers help build the foundation for MG and then YA. Anything that can break the shell of reluctance and get kids to read is positive momentum. Galaxy Games sounds like one that might get my older son's attention (10 years old). He prefers non-fiction, primarily sports related books. The athletic tie-in may be enticing for him. @Bryan and Rick WONDERBAR is in my queue (and on my Nook!). I don't personally read a lot of MG, but I'd like to see more Sci-Fi everywhere. There's not a whole lot in YA either. There is definitely a need for more Sci-Fi for boys. They love it and need it. Hopefully, this is the start of a new trend in genre demand. Oh boy, how we need more sci-fi in the world! I honestly feel terrible for any kid who grows up without reading sci-fi. Comics have become cool. Maybe sci-fi will have a turn-around. My daughter loved Penguins of Doom. It kept making her laugh out loud. I hope Greg does really well with this series. I've found many sci-fi fans are of the female persuasion. There aren't a lot of books targeted at boys, which I think is a problem. So yea for filling in that hole, Rick. All success to you. Thanks for your insignt, Greg. This is very interesting. I agree that SF isn't only for boys. I've always loved SF. So glad you had Greg guest post on your blog, Sue. Sci Fi leads the way to the future and kids love that . . . Heck, I love that! Look forward to Galaxy Games. Thanks Greg. Thanks Susan. I loved sci-fi as a kid, but I ended up reading adult sci-fi books. You're right on about the dearth of sci-fi for the MG crowd. I don't come across too much of it, and I believe that age group can appreciate it. My fifth grader LOVE sci fi. Thanks for the shelf filling suggestions. I also love the Pals in Peril series by MT Anderson. WHALES ON STILTS is the first. They are hilarious. @Leslie WHALES ON STILTS sounds awesome! Thanks for the rec! And stop by next week as I'll be highlighting several more cool MG SF titles! I only discovered what a hole there was when I started shopping my novel around. At first I thought 'great, should be an easy sale' and then, on reflection, I realised I was facing a real battle. There are two possible reasons for this lack of MG SF. One is that nobody is writing it, which is hard to believe, and the other is that nobody is publishing it. The latter is much more likely. I LOVED The True Meaning of Smekday, and of course, Artemis Fowl. I've got Galaxy Games on my Kindle, on my to-read list, along with Jacob Wonderbar. My first novel is MG science fiction, so I'm glad to hear there's a place for it. Thanks so much for posting this series Susan. Susan, can either you or Greg name any? I'm having trouble finding comps (I know True Meaning of Smekday, and of course, A Wrinkle in Time) — can anybody think of others?